Our obsession is traveling. That moment between two sites, two cities or two countries. It is what moves us to do what we do. For us, those moments of transition are when magic happens: where old thoughts become new ideas or when everyday objects seem special to us. The places where we have been make us be the way we are. The world is a shared place, and every journey is part of the exchange, no matter the destination. We believe in making connections: on the road, in line, between people. For us, all the time spent away is well spent time. 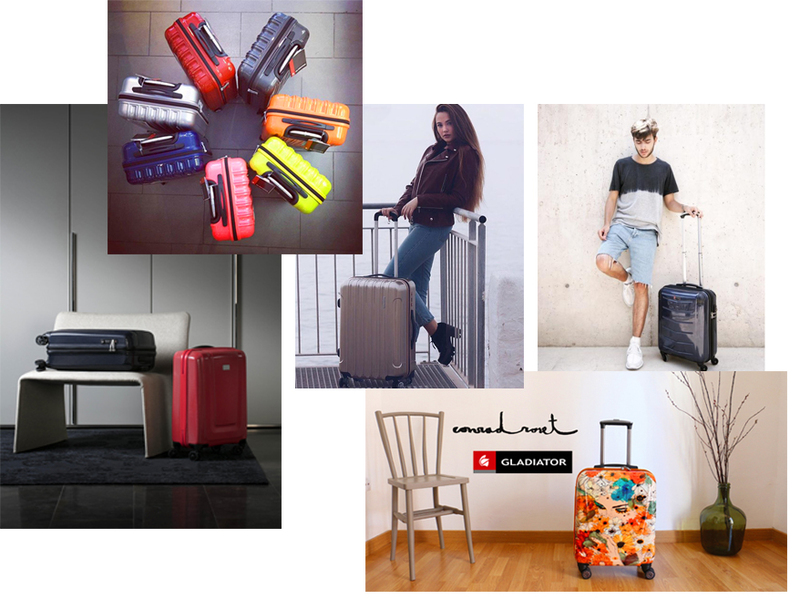 If you are curious and want to know more about us you can know our history here, we will tell you that behind Gladiator there is much enthusiasm and desire to do new things, but also a long trajectory in the world of luggage. Almost 100 years surrounded by fabrics, zippers, leather, machines and wheels but with the same strength as the first day. So if we can say that we are specialists in something, this is luggage. Therefore, we have turned all our knowledge to create these trolley cases, bags and backpacks that represent all our love for the art of traveling.